THE GORGE: What makes this gorge and waterfall unique is the suspension "monkey" bridge. 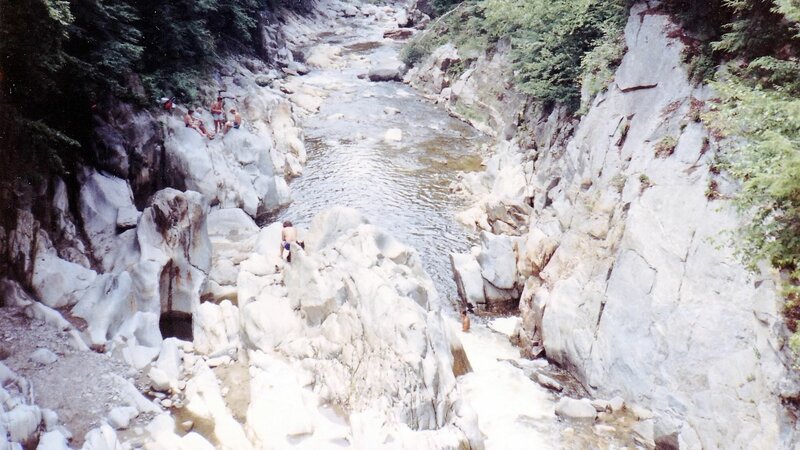 The 30ft long bridge crosses directly above the Clarendon Gorge which, is also a popular swimming hole with deep pools for lightweight "cliff diving". There are many hiking and camping paths after you cross the bridge. The Clarendon Gorge and the Appalachian Trail or "Long Trail" cross paths here. The Long Trail travels from Southern Georgia to Canada. TRAIL INFORMATION: The trail used to access the gorge is the combined Appalachian Trail/Long Trail. From the parking area, walk past the trail billboard and immediately descend into the woods. 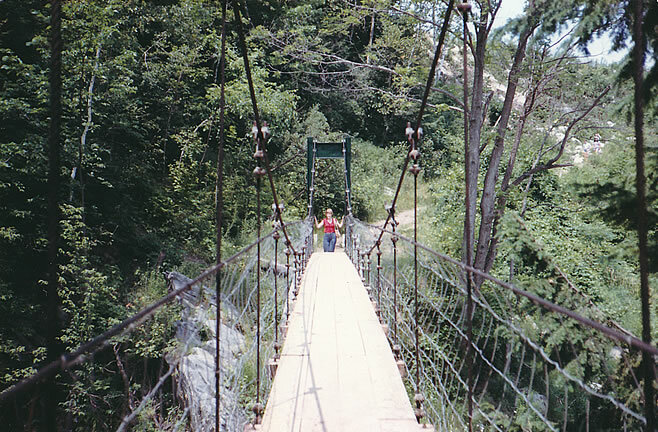 Follow the white-marked trails for 0.1 mile and you will reach a suspension bridge over the gorge. From the gorge, you can see all the small cascades and the deep gorge walls. 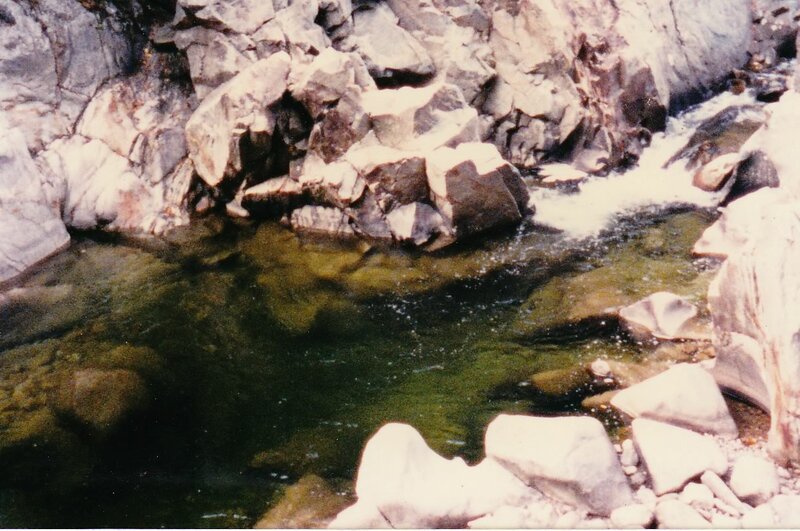 It is possible to scramble down to the base of the gorge to the swimming hole and to hike along the creek.